The Oregonian, Calvin Lee Reeder‘s disturbing and controversial horror film that made audiences flinch and clutch their stomachs at Sundance earlier this year, is having a special two-day run in Los Angeles this weekend, Oct. 7-8. The film will be screening at The Bootleg Theatre, which has typically hosted concerts and plays, but is now screening films. The theater is located at Beverly and Alvarado. The film is distributed by Cinemad Presents. In The Oregonian, a young woman hitchhiker is trying to escape her past, but runs into an even more grotesque and frightening future. 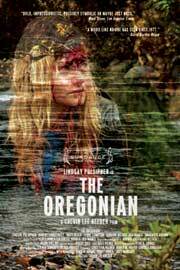 The film will screen on Saturday, Oct. 7 at Midnight; and then again on Sunday, Oct. 8 at 4:30 p.m.
Later in the month, The Oregonian will screen across the country in Washington, D.C. at the Spooky Movie International Horror Film Festival on Oct. 15. You can check out the full Spooky Movie lineup here.